In November 1869, the Suez Canal was opened for the first time. Can you imagine the excitement it must have created in the world at the time, shortening voyage times between Europe/North Africa and the Middle/Far East? There must have been a huge sense of satisfaction for the people involved in building the canal as they saw their labour bear fruit. While I haven’t accomplished anything so grand in my time, I do enjoy the satisfaction of completing a project or task, and this month has seen OCIMF bring a number of work items to a close. Together with INTERTANKO, we have launched papers on Behavioural Competency Assessment and Verification for Vessel Operators and Sharing Lessons Learned from Incidents. We held our AGM and Executive Committee meeting (ExCom 82) in London, where a range of strategic topics were discussed and guidance offered. The OCIMF strategy framework was approved and work has now started in earnest on a full strategy review. During the week of the ExCom meeting, OCIMF met with INTERTANKO about potential future collaborations on safety and environmental issues, and continuing our work on human factors issues. We held a very interactive Middle East Regional Marine Forum in Dubai, in conjunction with ENOC’s Marine Conference. This was probably the best forum we have held to date, with high levels of participation from the audience, mainly around the Vessel Inspection Questionnaire (VIQ7) and Mooring Equipment Guidelines, Fourth Edition (MEG4). As a result, we will be issuing further clarifications on the MEG4 website in the coming weeks. I also presented what OCIMF are currently working on at the Tanker Shipping and Trade Conference in London. Again, the conference was highly interactive, with many excellent questions posed by the delegates. While the vast majority of our committee work is now complete for 2018, we are now planning our 2019 schedule and you will see dates for next year’s committee meetings in the newsletter. I hope you enjoy our November edition of the newsletter and wish you a happy December. 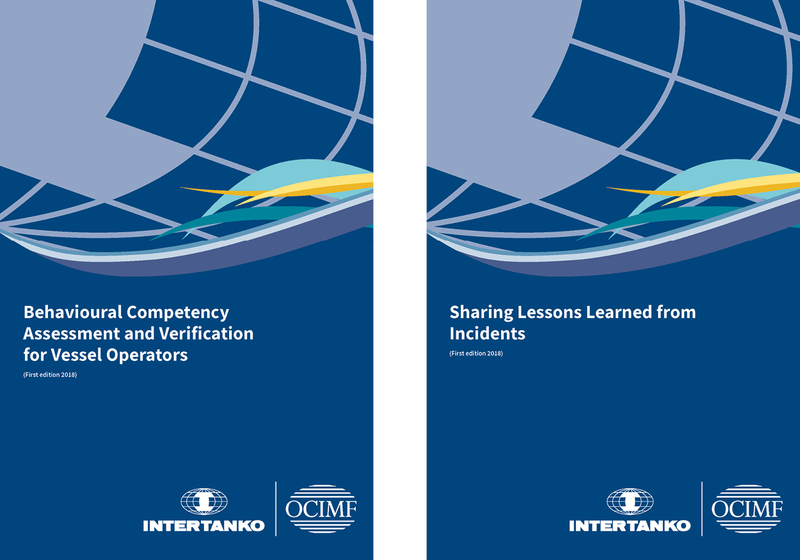 OCIMF and INTERTANKO have released two new information papers that will help improve safety in the energy shipping industry: Behavioural Competency Assessment and Verification for Vessel Operators and Sharing Lessons Learned from Incidents. The result of a joint initiative between the two organisations, the papers look at two key areas: competency and learning from incidents. Behavioural Competency Assessment and Verification for Vessel Operators presents a system for assessing competency in seafarers. Behaviour and attitude are key elements of a positive safety culture and this paper provides guidance on how to assess and verify seafarers’ behavioural competence. Sharing Lessons Learned from Incidents outlines the most effective ways that vessel operators can share the lessons they learn from incident investigations. It includes examples of best practice and template forms (also available to download from the OCIMF website). Do you have significant experience developing policy in the maritime industry and a thorough understanding of how the International Maritime Organization (IMO) works? OCIMF is currently recruiting for a full-time Technical Adviser (Regulatory Affairs) on a one-year contract. The Technical Adviser will help support OCIMF’s advocacy work at the IMO on behalf of OCIMF and its 110 members. This is a rare and exciting opportunity to join OCIMF. You can find out more about the position on the OCIMF website. The closing date for applications is 28 December 2018. The last regional marine forum of 2018 was held in Dubai, UAE on 14 November. 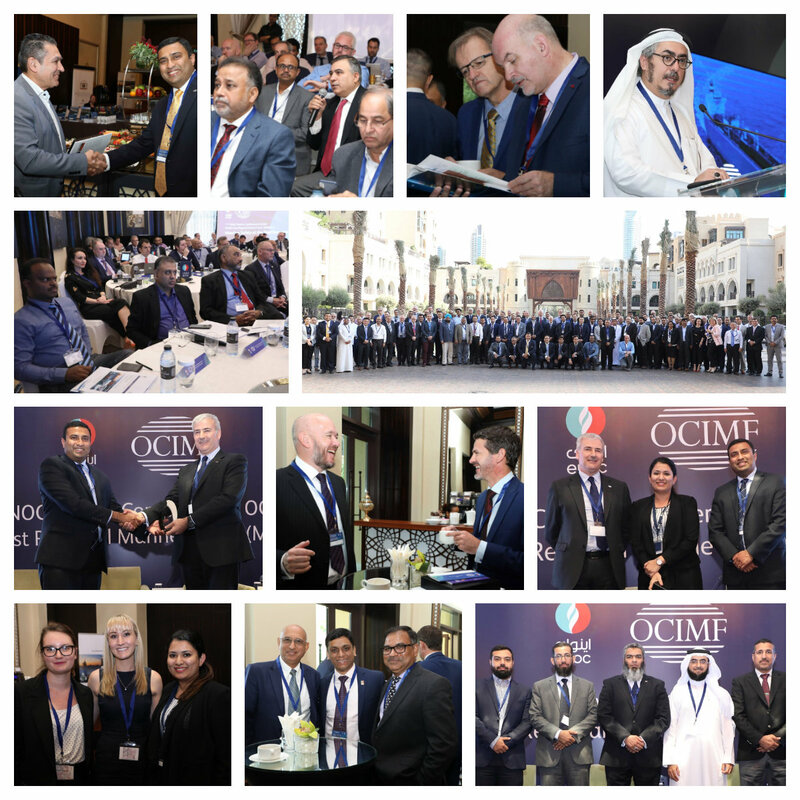 The second Middle East Regional Marine Forum was a great success with over 120 people attending from around the world, including energy companies, ship operators, terminal operators and rope manufacturers. 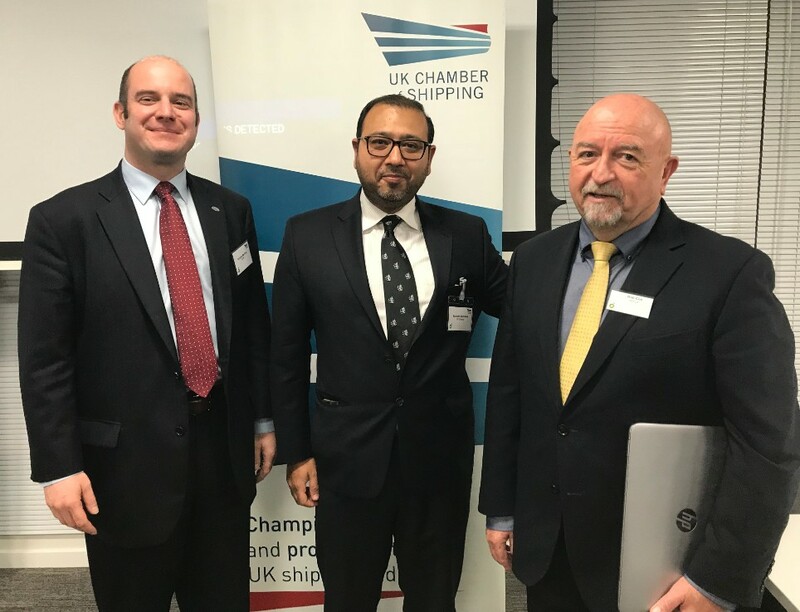 The forum was extremely engaging and received 136 questions from attendees, mainly about OCIMF publications such as Mooring Equipment Guidelines, Fourth Edition (MEG4) and the Vessel Inspection Questionnaire (VIQ). The questions asked will help OCIMF to better understand how the publications are used by the industry and to improve future editions. The event was held in conjunction with ENOC's Marine Conference on 13 November. Many thanks to ENOC for their support in organising the events. The full agenda, presentations and speaker biographies are available on the OCIMF website. Dates for the 2019 regional marine forums will be announced shortly. The event brought together stakeholders across the industry to discuss the availability, safety and compatibility of new Sulphur 2020-compliant fuels, as well as alternative means of compliance. This year’s agenda included sessions on enforcement, the EU refining industry, fuel safety, stability and compatibility issues, charter party considerations and case study discussions by shipowners and scrubber manufacturers. OCIMF delivered a presentation as part of the fuel safety panel on the importance of shipowners preparing for new Sulphur 2020-compliant fuels. It highlighted some challenges operators may face in the future and what the industry is doing to raise awareness of those challenges. Contact Ricardo Martinez, Technical Adviser (Engineering), at ricardo.martinez@ocimf.org with any questions. All working groups made further progress with technical discussions and providing revised text for the new International Safety Guide for Oil Tankers and Terminals (ISGOTT), Sixth Edition. The Council renewed the mandate of Kitack Lim as Secretary-General for another four-year term, concluding on 31 December 2023. A working group on Council reform was established. The working group considered the role of non-governmental organisations (NGOs) at the IMO. The Council agreed, in principle, to the group’s recommendation that NGOs applying for consultative status should be invited to make presentations to the Council. The working group will be re-established at Council 122 to continue discussions on Council reform. A regulatory scoping exercise for the use of Maritime Autonomous Surface Ships (MASS). Safety measures for non-SOLAS ships operating in polar waters. Piracy and armed robbery against ships. Safety issues related to low-sulphur fuel oil. OCIMF will launch the Mooring Equipment Guidelines, Fourth Edition (MEG4) at the IMO on 4 December. On 5 December, OCIMF will also give a presentation at the IMO titled 'Mooring Safety at the Ship/Shore Interface' about how MEG4 helps promote mooring safety in areas such as human factors, mooring line management, mooring systems, snap-back zones and berth designs. A calendar of all OCIMF Principal Committee and International Maritime Organization (IMO) meeting dates is now available on the OCIMF website. OCIMF’s servers are undergoing essential routine maintenance on Saturday 8 December 2018 from 10.00 to 16.00 UTC. The OCIMF programmes SIRE, MTIS, OVID and OCIMF WebServices will be unavailable during this time and users will be unable to upload SIRE or OVID reports. IT departments have been notified. Member and OVID inspectors are reminded that the new requirements for OVID inspections, as approved by the Offshore Marine Committee (OMC), will enter into force from 31 December 2018. To maintain accreditation, inspectors must submit a minimum of (4) four reports to OVID each year. 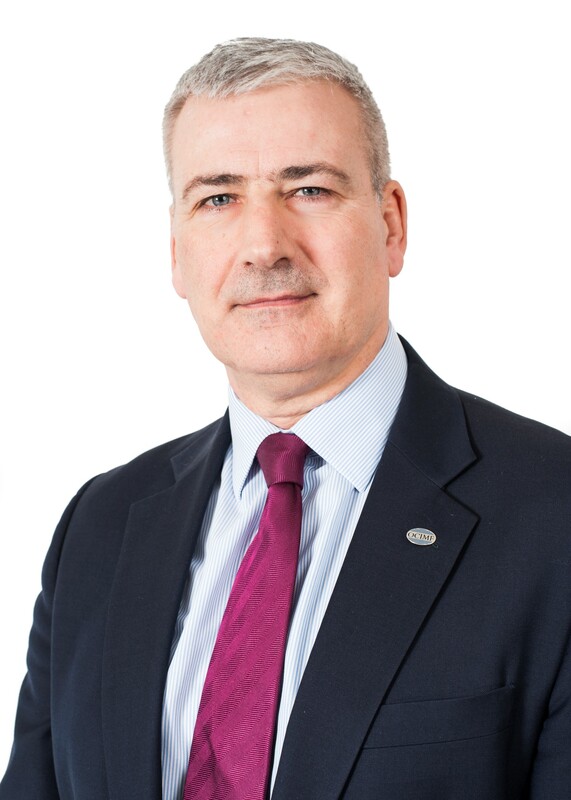 Inspectors who do not submit the minimum number of reports will have their accreditation temporarily withdrawn. For more information on inspection requirements, visit our website. More information on courses is on the OVID website. If you would like to enrol on a course, or have any queries relating to our courses, then please email ovidaccredit@ocimf.org. Please sign up early to avoid disappointment. All courses are subject to demand and OCIMF will reserve the right to either change the date or cancel the course if there is insufficient interest.